The Ontario government says it will cancel a scheduled increase in the provincial beer tax that was set to kick in next month. The Ontario government is cancelling a scheduled increase in the provincial beer tax that was set to kick in next month — a move that will see the province forgo $11 million in potential revenue. The Progressive Conservatives said Friday that the three-cent-per-litre increase was planned by the previous Liberal regime and will be scrapped. "This is just one more tax hike that was due," Finance Minister Vic Fedeli said in an interview. "We look at every single opportunity to rein in the taxes. From the largest possible, the cap-and-trade tax, all the way through to the beer tax." The government said beer taxes have increased by three cents per litre each year since 2015. Beer and wine taxes brought in revenues of roughly $589 million in 2016-2017. The halting of this year's increase — which was set to take effect Nov. 1 — will mean Ontario's treasury will forgo $11 million in potential revenue that would have come in between November and the end of the fiscal year in March 2019, the government said. The move comes as the government has said it faces a challenge to deal with the province's deficit and debt. Fedeli noted that tax increases aren't part of the government's strategy, saying debt and deficit would be tackled through "efficiencies." 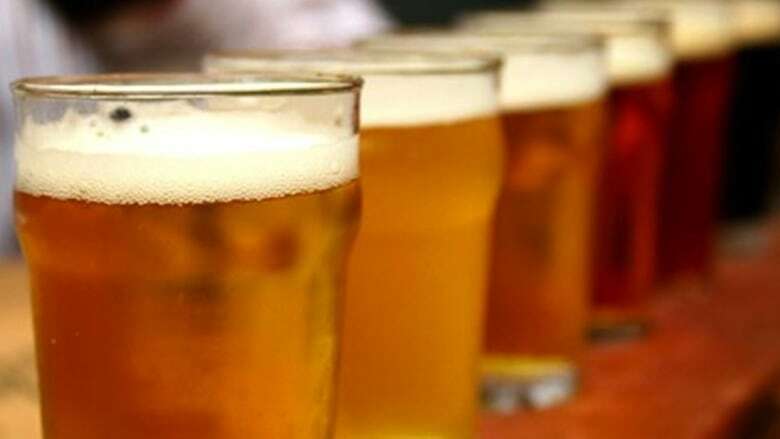 The government is currently reviewing the province's approach to beer and wine sales, including the possible expansion of sales into corner and big box stores. Fedeli said the government was still looking at that possible expansion but didn't have a timeline for when a report on the matter would be released. "It's a monumental task," he said. "There's a lot of information gathering ... We want to provide more access and we want to do it right." Green Party leader Mike Schreiner said the Ford government is "obsessed" with beer-related policies at the expense of more pressing matters. "How many new teachers or nurses could have been hired with this beer tax revenue?" he said in a statement. "The average Ontarian won't notice a one-cent difference on beer, but they will notice the declining state of our hospitals and schools as the premier follows through with his austerity plans." Earlier this year, the government brought back so-called buck-a-beer to the province. The policy implemented this summer lowers the minimum price of a bottle or can of beer to $1 from $1.25. Brewers are not required to charge less and the minimum price doesn't apply to draft beer, nor does it include the bottle deposit. Businesses were offered prime spots in Liquor Control Board of Ontario stores and advertising in the store magazine's inserts, among other possible incentives for selling their beer for $1. Two breweries, Cool Brewery in Toronto and Barley Days Brewery in Picton, Ont., have said they will offer lower-priced brews, while Loblaws offered its President's Choice beer for one dollar a bottle for a limited time.